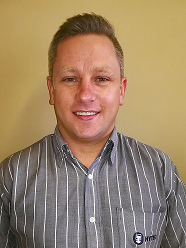 Daniel Lesch has been appointed Branch Manager at Hytec Secunda in Mpumalanga. The appointment, effective 1 January 2018, means the branch now has a manager with vast experience in the petrochemicals and mining industries, both of which are considered main industries in the Secunda region. Lesch has 14 years’ industry experience, nine of them in sales management and hydraulics. Hytec is a Hytec Group Company which, in turn, is a Bosch Rexroth Company.